Jane Russell, the dark-haired siren whose sensational debut in the 1943 film “The Outlaw” inspired producer Howard Hughes to challenge the power and strict morality of Hollywood’s production code, died Monday at her home in Santa Maria, Calif. She was 89. Bing Crosby graduated from Gonzaga High School in Spokane, Washington in 1920 and received an honorary doctorate from Gonzaga University in 1937. 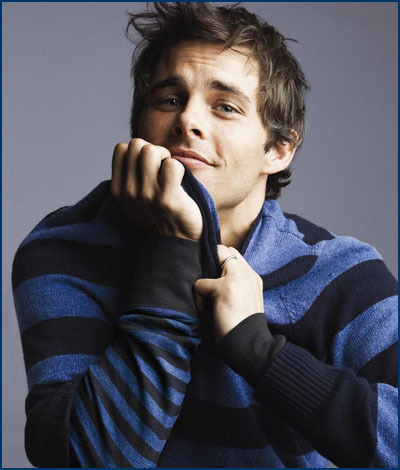 Crosby retained an interest for his former school throughout his life and contributed generously to it. Through his efforts the Crosby Library was constructed and dedicated as a memorial to the Crosby family in 1957. The school’s collection is the largest public Crosby collection containing his 1944 Oscar for “Going My Way,” gold and platinum records, trophies and awards, photographs, correspondence, news clippings, radio disks, records and cassettes, and other memorabilia. 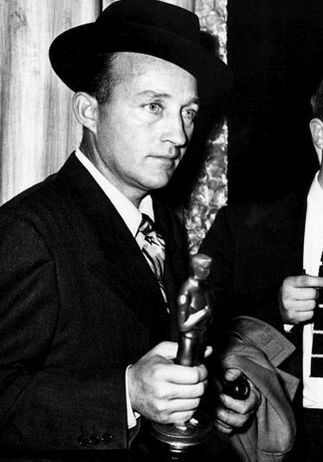 One weekend in late April of 1972, Bing’s Oscar was stolen and a three-inch statue of Mickey Mouse was left in its place. Police said that the theft appeared to be a prank since none of the other Crosby memorabilia in display cases was disturbed. The police report at the time valued the gold-plated Oscar at about $75. The following Friday, the university newspaper ran an interview with an anonymous person who said he carried out the theft because “I wanted to make people laugh.” A few days later, the Oscar was found in the University chapel by a priest and returned to the display case. 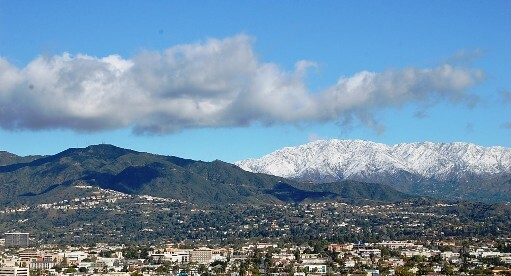 If you were out-and-about today in Los Angeles, you may have seen the beautiful snow capped mountians that are currently surrounding the city thanks to the recent rains and snows in the higher elevations. Enjoy! 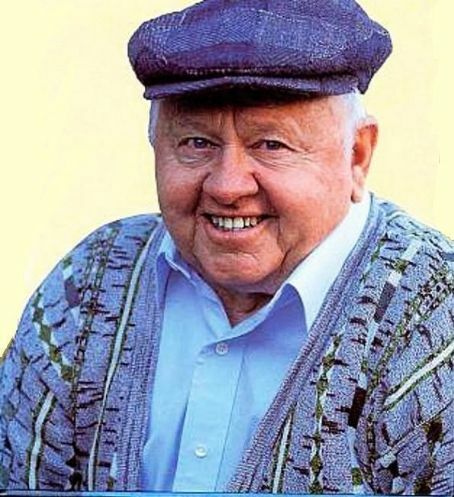 (NewsCore) – LOS ANGELES — Hollywood veteran Mickey Rooney obtained a restraining order against his stepson Tuesday in Los Angeles, alleging that the man is trying to steal his assets, TMZ reported. The 90-year-old actor claims stepson Christopher Aber, 52, “threatens, intimidates … and harasses” him and has tried to convince him to sign over his assets to him. Aber and his wife were ordered to stay 100 yards away from Rooney. Rooney also asked the judge in the case to appoint a temporary conservator to help protect his assets, and the judge complied by granting conservator status to Rooney’s attorney. Aber is the son of Rooney’s eighth wife, Jan Rooney, to whom he has been married since 1978. 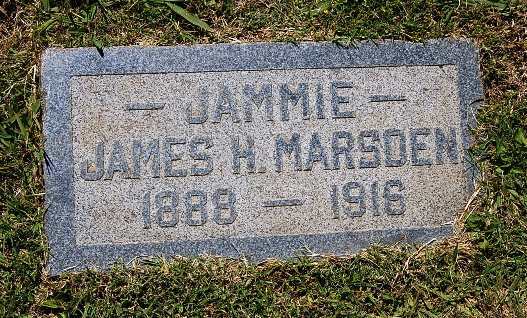 The veteran performer was in MGM musicals and a regular on “All in the Family” and “Laverne & Shirley.” She also starred on Broadway and in Los Angeles theater productions. 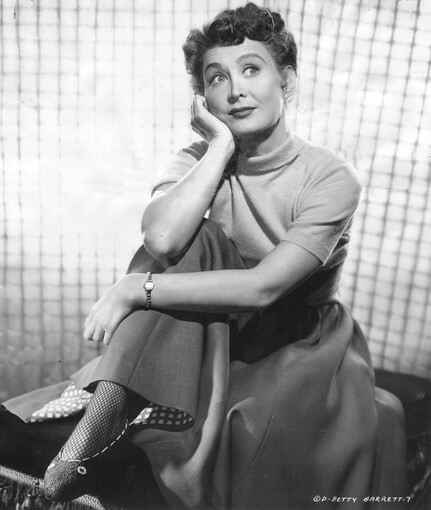 Betty Garrett, a comedic actress who was a fixture in such MGM musicals as “On The Town” and “Take Me Out to the Ballgame,” a regular on the television series “All in the Family” and “Laverne & Shirley” and a star on Broadway and in Los Angeles theater productions, has died. She was 91. LOS ANGELES (Reuters) – Oscar-winning actress Elizabeth Taylor has been admitted to a Los Angeles hospital to treat congestive heart failure, the latest in a long history of serious medical problems. “Elizabeth Taylor was hospitalized earlier this week … suffering from symptoms caused by congestive heart failure, an ongoing condition. This issue is being addressed … She is currently being kept in the hospital for monitoring,” Sally Morrison said in a statement Taylor, a double Oscar winner famous for her eight marriages — twice to actor Richard Burton — underwent heart surgery in 2009 to replace a leaky valve. She announced in 2004 that she had been diagnosed with congestive heart failure — a condition in which the heart cannot pump enough blood to other organs. “Her family and close friends are appreciative of the warm support and interest of her loyal fans but have asked that people respect her privacy and allow her medical team the time and space to focus on restoring her back to health,” the statement said. The London-born Taylor, who won Oscars for her roles in “Who’s Afraid of Virginia Woolf” in 1966 and “Butterfield 8” in 1960, has been using a wheelchair for more than five years to cope with chronic pain after breaking her back four times. In 2006, she appeared on Larry King’s CNN interview show to deny reports that she was gravely ill or suffering from Alzheimer’s disease. Taylor has had three hip-replacement operations, a benign brain tumor, skin cancer and pneumonia. She spent two stints in rehab in the 1980s for alcohol and prescription drug addiction. 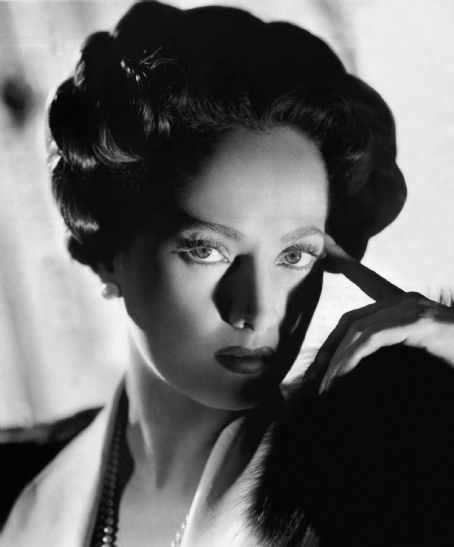 Taylor first achieved stardom at the age of 12 in “National Velvet” and became famous for her violet eyes, dark alluring beauty and love of diamonds. She still makes appearances at charity events, especially those connected to her AIDS foundation, but has not appeared on screen since the 2001 TV movie “Old Broads”. Her last Hollywood movie performance was the 1994 live action comedy “The Flintstones”. Peggy Rea, a veteran TV actress who played Brett Butler‘s mother-in-law on the ABC sitcom Grace Under Fire, died Feb. 5 of congestive heart failure at her home in Toluca Lake, Calif. She was 89. 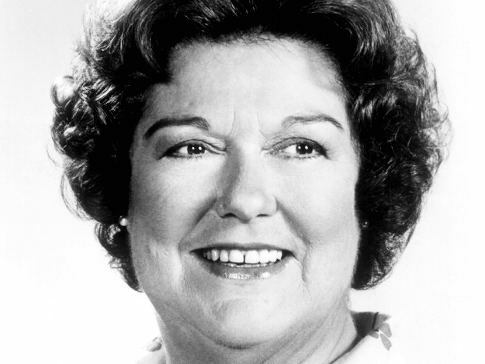 Rea also was a regular on such series as The Waltons (as Olivia Walton’s cousin Rose Burton), The Dukes of Hazzard (as the man-chasing Lulu Hogg) and Step by Step (as Ivy Baker, the mother of Suzanne Somers‘ character). The Los Angeles native began her TV career in the 1960s as a member of Red Skelton‘s stock company. She also appeared on such series as I Love Lucy; Have Gun, Will Travel; The Phil Silvers Show; Bonanza; Gunsmoke; Ironside; Hunter; Marcus Welby, M.D. ; Burke’s Law; and MacGyver. Rea’s film credits include Cold Turkey (1971), In Country (1989), Love Field (1992) and Made in America (1993).